Two days/One night – This journey between Hue and Hoi An has some truly awesome adventures, including dramatic mountain climbs and even a comfortable overnight bungalow a remote ethnic minority village. 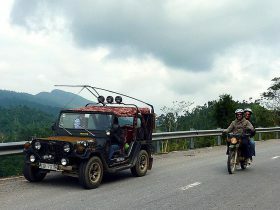 This tour turns what can be a three hour commute into two of the most memorable days of your Vietnam experience. Your guide’s passion for this journey and knowledge of the area ensure you are on a voyage of discovery, adventure and never to be forgotten memories. 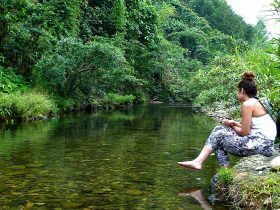 When you’re cruising the Ho Chi Minh Trail or splashing in a hidden waterfall we think you’ll agree – it’s not the destination, but the journey. This 2 day trip was amazing. We set off around the paddy fields stopping at historical points and places of interest where our guide was full of knowledge and interesting facts. Our group was an awesome mix of fun people. The highlight for me was the Bho Hoong Village and what we learned about them and a little history of the area. A great evening hosted by the elders and the whole village really, everyone was involved, amazing food, we were privileged to hear their native instruments and treated to some traditional dancing around a pyre which we could all join in. A truly enlightening experience with very friendly and welcoming people. The next day to Hue driving about 100kms of the incredible Ho Chi Min trail with its epic scenery and sweeping bends was awe inspiring. 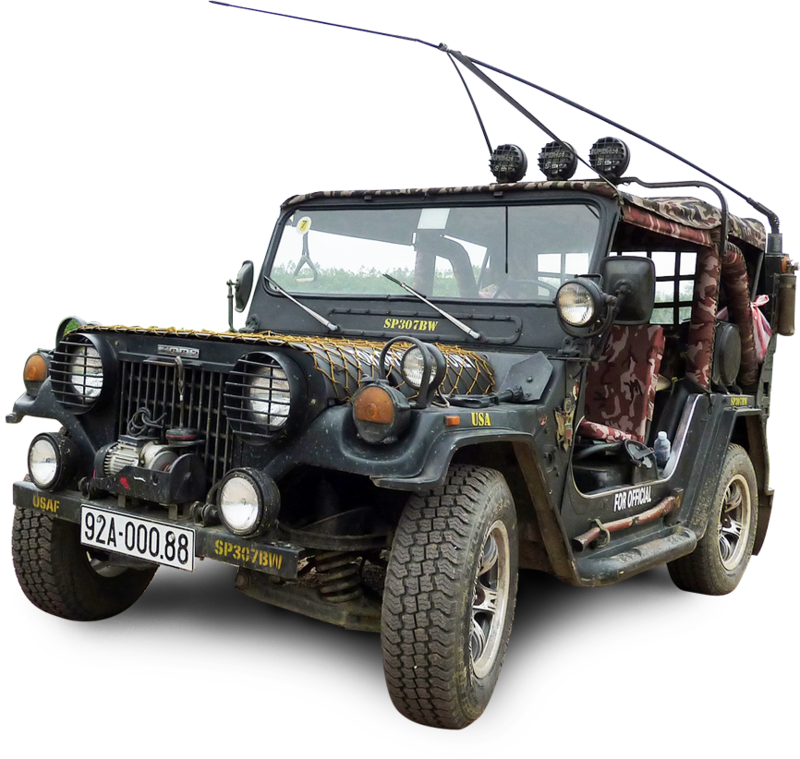 I thoroughly recommend Hoi An Jeep tours, you won’t forget it. Professional, friendly, easy going and knowledgeable made the short trip something I will enjoy remembering for a long time and will definitely look to go back!